Medical Refund. A full refund, including any late fee, will be issued if a player is unable to participate for medical reasons for the whole season. In case the refund is requested during the season the North Surrey Mustangs FC refund committee will decide the amount of refund amount the player is eligible for. To qualify for a medical refund, a note from a physician stating that the player should not participate in soccer must be submitted with the refund request. Placement Failure Refund. A full refund, including any late fee, will be issued if the Club is unable to place the player on a team. Placement Failure Refunds result when a player is unable to participate in Club sponsored soccer due to a lack of available space. 1. Refund request is past the deadline. 2. Player has already been placed on a select team. 3. Refund request is missing information as requested. · Treasurer will forward the refund request to the North Surrey Mustangs FC Refund Committee. · The refund request will be reviewed by the North Surrey Mustangs FC refund committee. 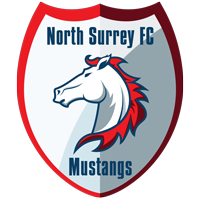 · North Surrey Mustangs FC is committed to resolve the matter within 4 weeks. · A decision letter will be emailed or mailed to the parent/guardian of the players within the period of 4 weeks. · If the refund is approved it will accompany the cheque in the mail. · If the refund is not approved a detail explanation will be provided. · The decision of the North Surrey Mustangs FC refund committee is final.